Your cat loves you. And sometimes he even shows it. To keep your good standing, you probably want to give him the healthiest, best-tasting dry cat food you can find. Well, you’re in luck. Lotus Wholesome Food for Cats is the balanced, oven-baked food for the healthy life of your adorably high-maintenance friend. Why oven-baked? 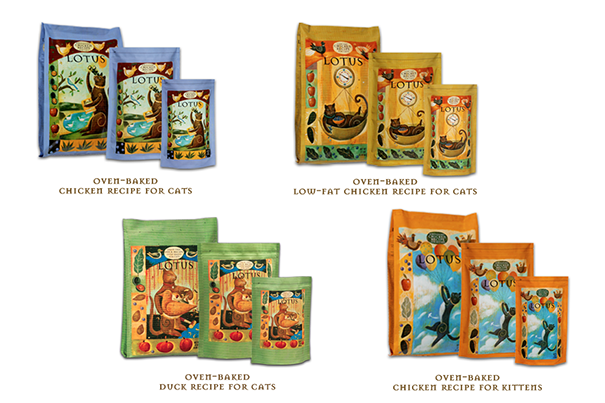 Baking our dry cat food naturally brings out the wholesome flavors and aromas of Lotus’ high-quality ingredients, with no need for sprayed-on flavorings. It also concentrates the food so your cat gets more nutrients while eating less. Does anyone else hear purring?